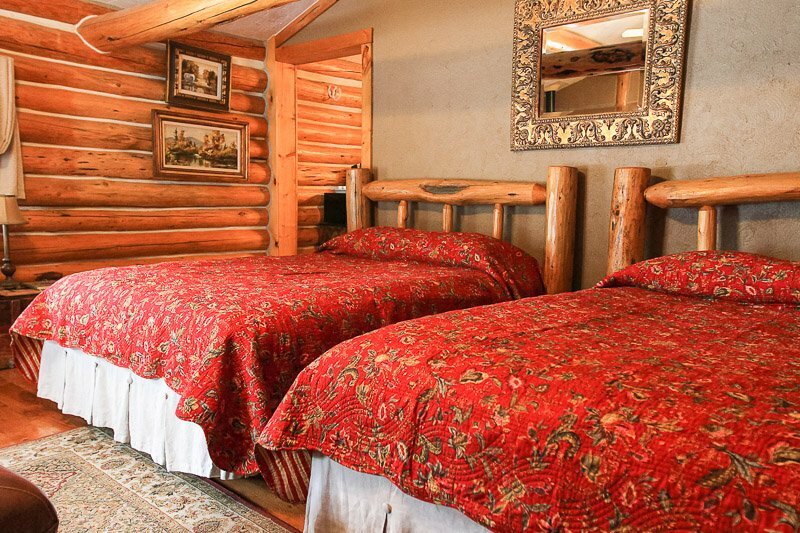 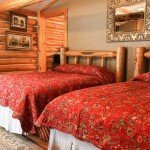 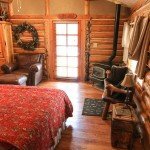 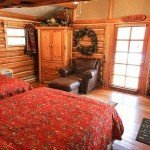 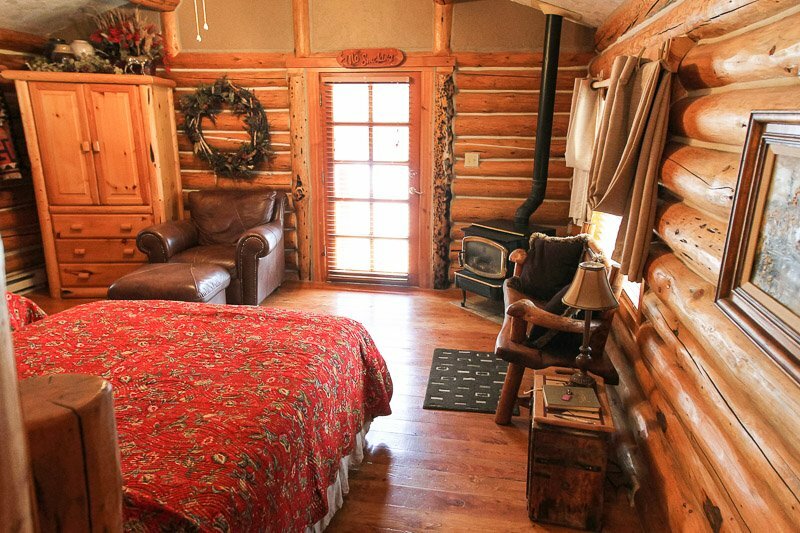 This beautiful cabin is decorated in a Southwest theme, and comes complete with a sitting area with a leather recliner and a gas fireplace. 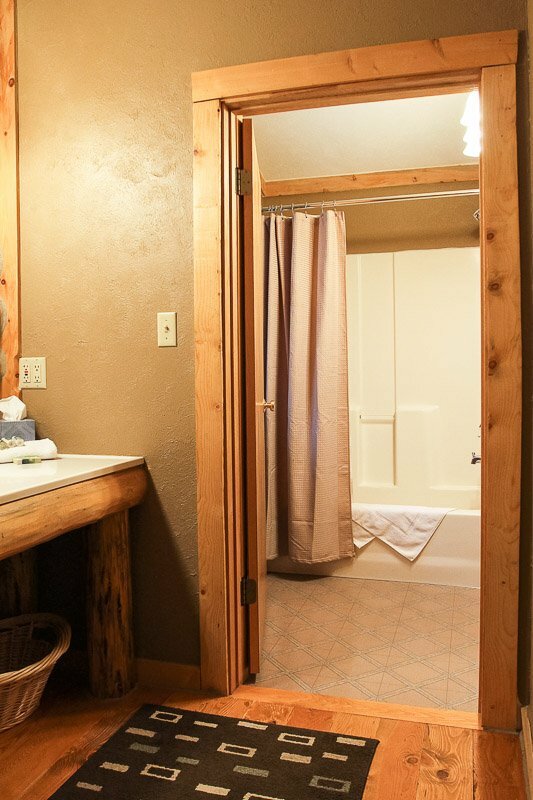 Large windows, and a beautiful french door let you enjoy the majestic scenery of the Dry Creek canyon. 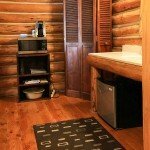 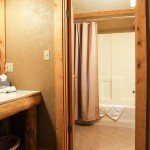 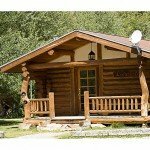 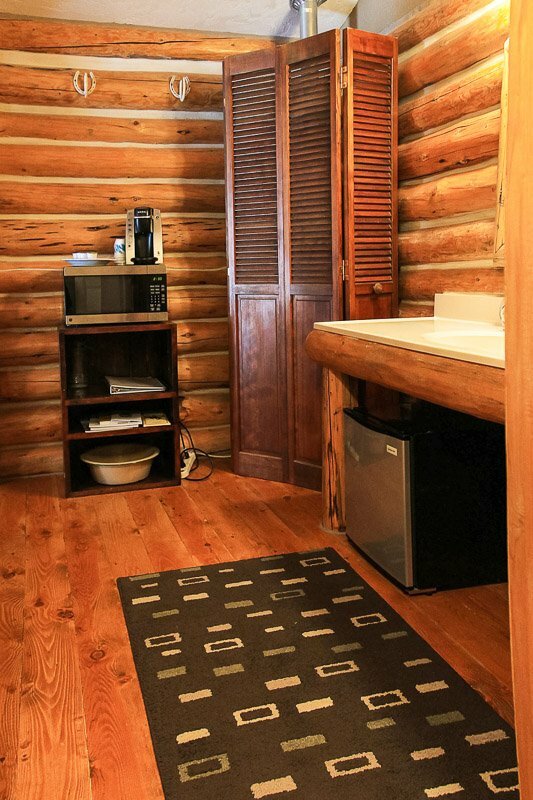 Leave the windows open to hear the soothing sounds of the creek running just a few feet from your cabin. 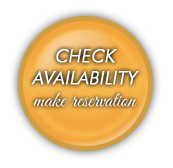 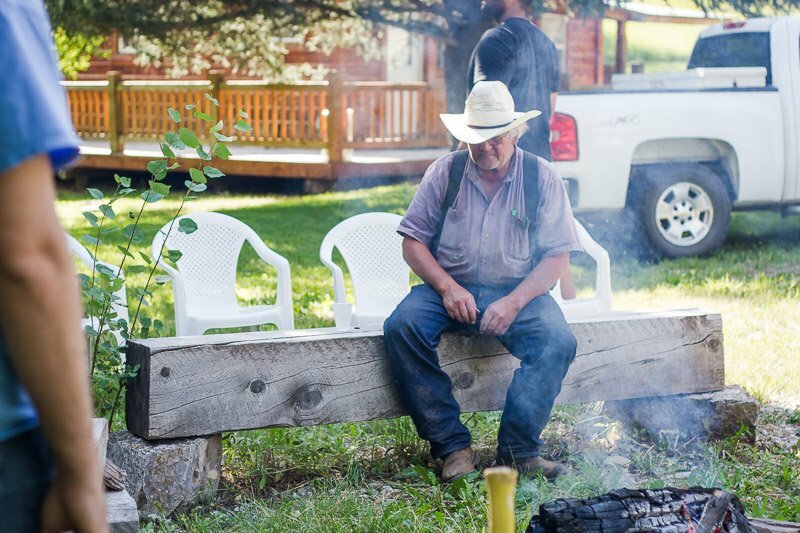 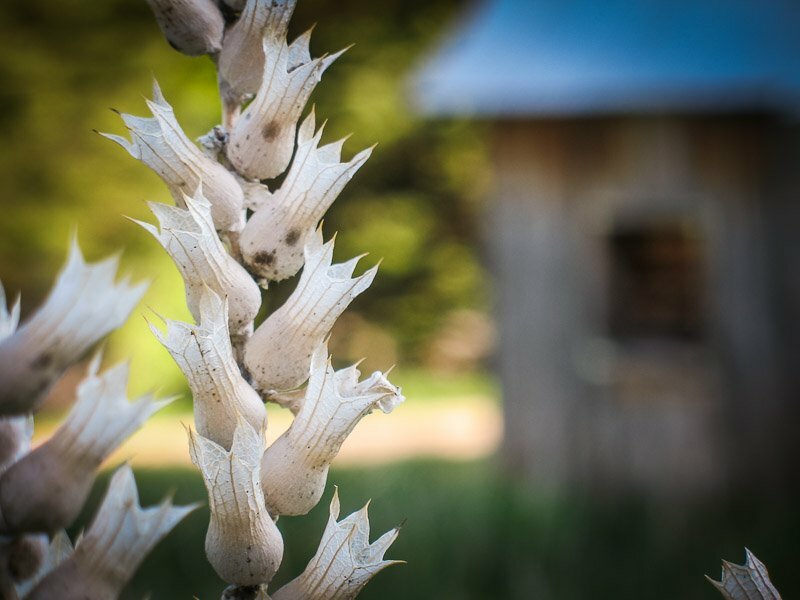 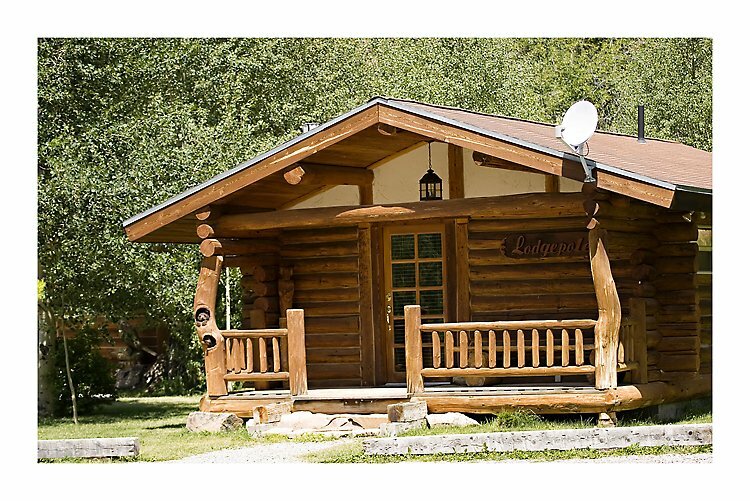 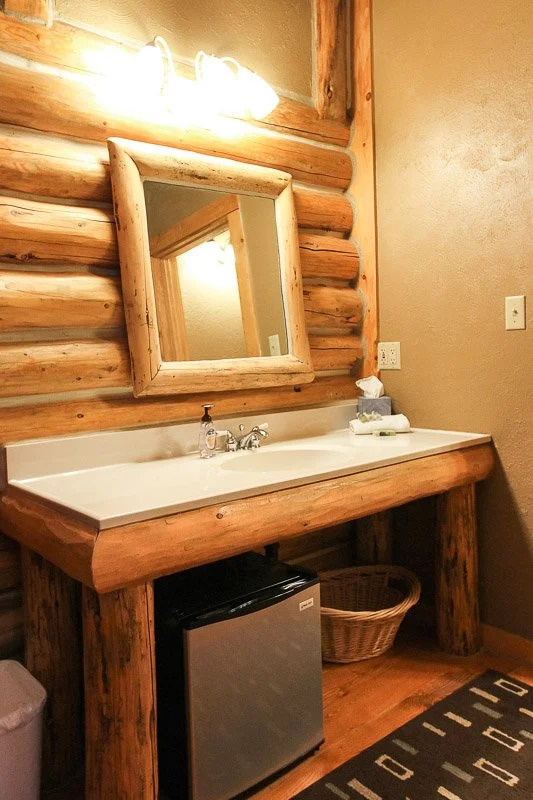 Relax in one of the chairs on your own private porch, and watch the wildlife that live nearby while you enjoy the peace and quiet our secluded cabins offer. 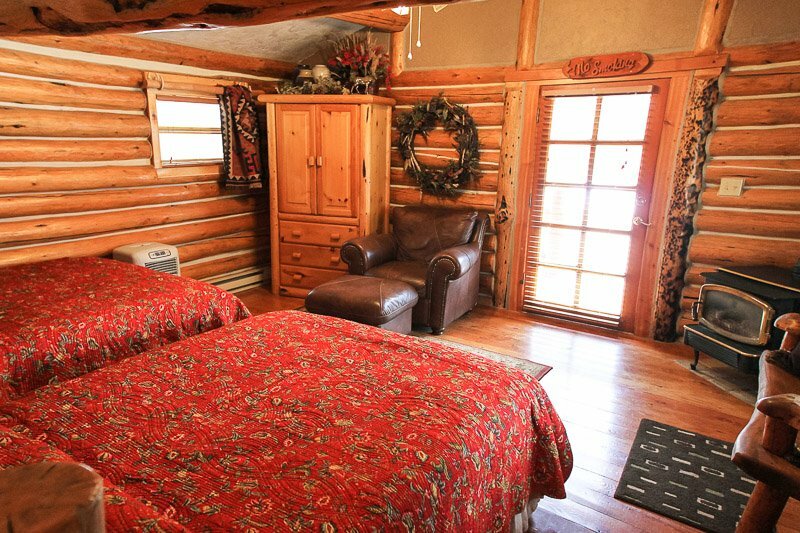 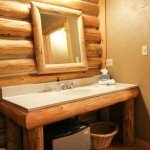 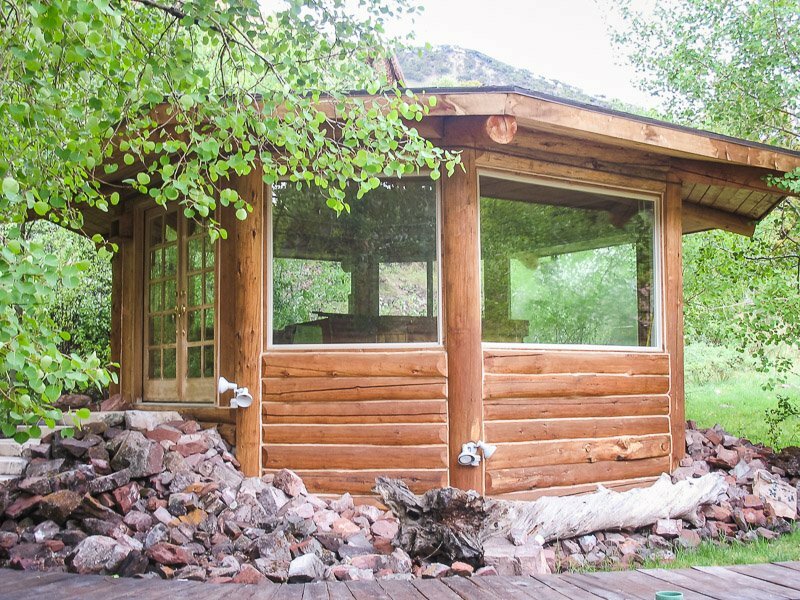 Our beautiful cabin includes a vanity room that is hidden from the main bedroom, and the bathroom includes a spacious shower.